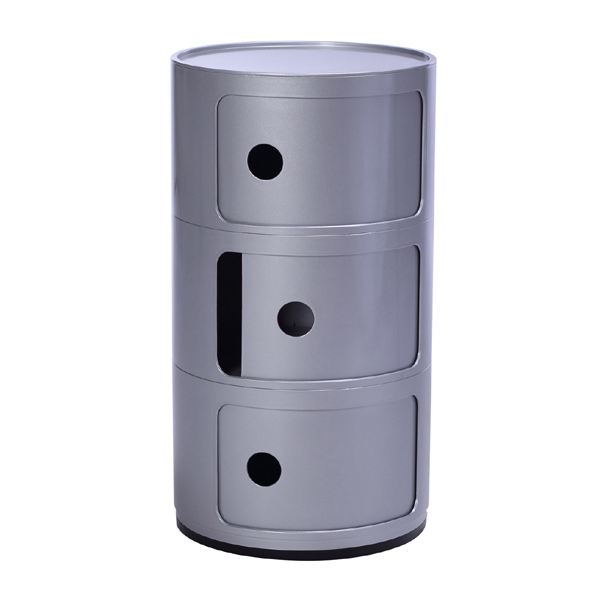 There are two different sizes for this componibili round storage,dia32cm and dia 42cm,and each size with different units,one,two,three,four,five,even more,the most popular one is 3 units,which is about 60cm high,the suitable dimension to use as corner storage or bedside table or end table. 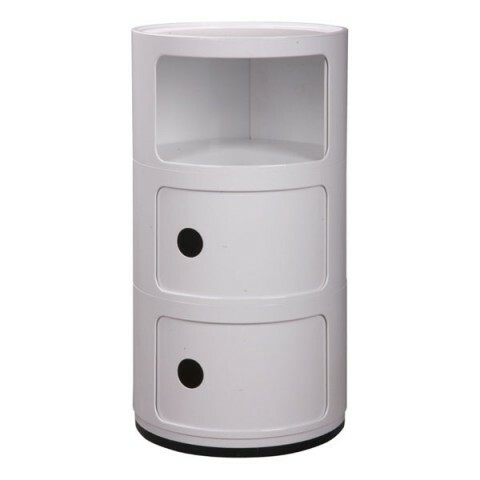 The componibili round storage is made from ABS material itself,or with painting finish to make it more glossy.There are lots of colors for choice,such as white,silver,black,red,rose,etc. 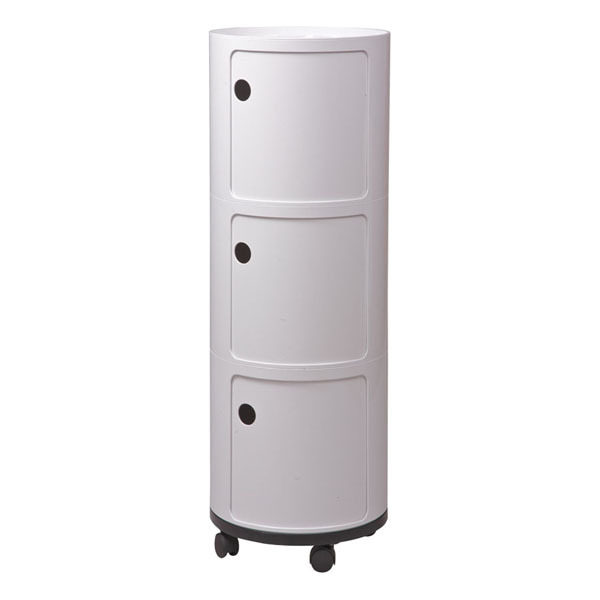 If you need the componibili round storage can be rolled,we can add wheels on the bottom.